This Quilling Birds Art work I made as a Guest designer of Hamster challenge for Valentine's day Challenge. In this quilling birds art work the 2 birds are made with basic quilling shapes. 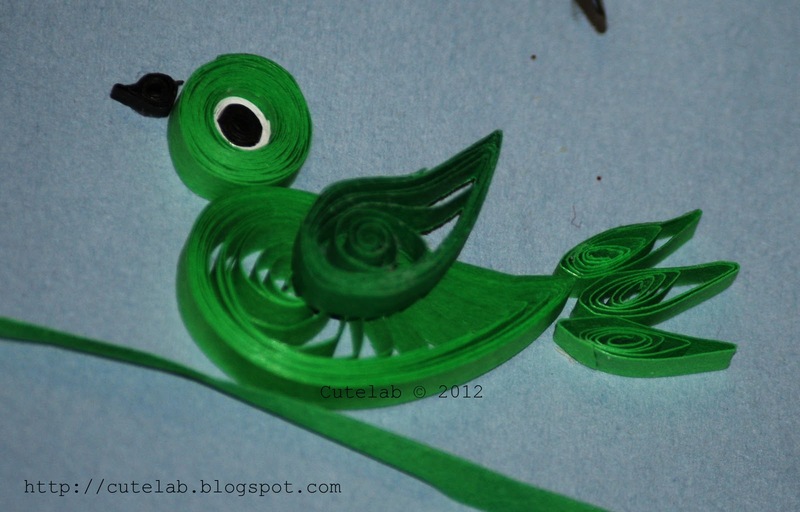 Quilled bird's body and wings are made with a bent teardrop shapes, head with a tight circle centered with black color tight coil and cover with white color paper. Tile is made with 3 small marquise shapes and nose with a small triangle. 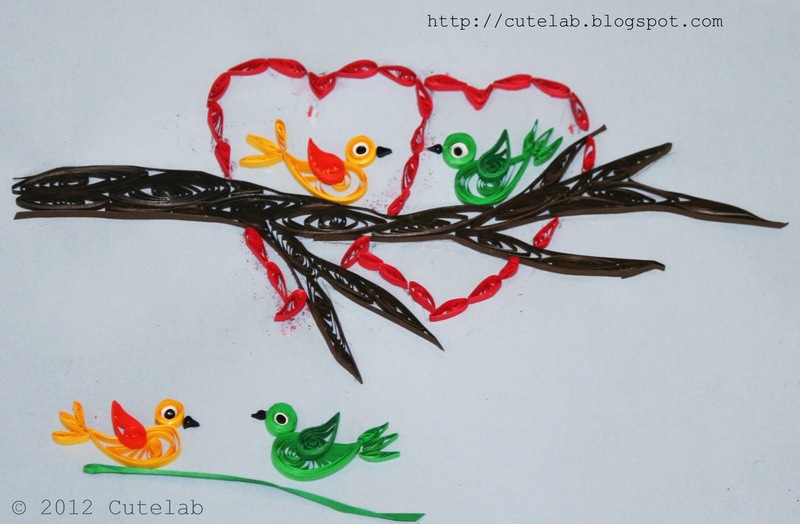 The quilling tree branch is assembled with marquise shapes. 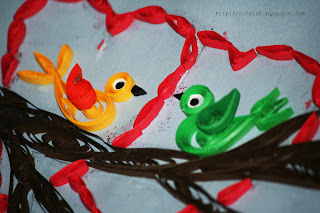 All the paper strips used in this quilling art work are pre-cut 3 m.m strips. 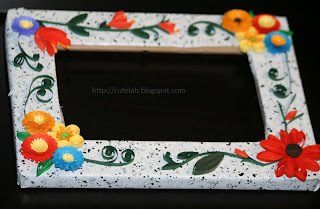 This Quilling Photo-Frame made to gift my friend who is leaving to her home country. 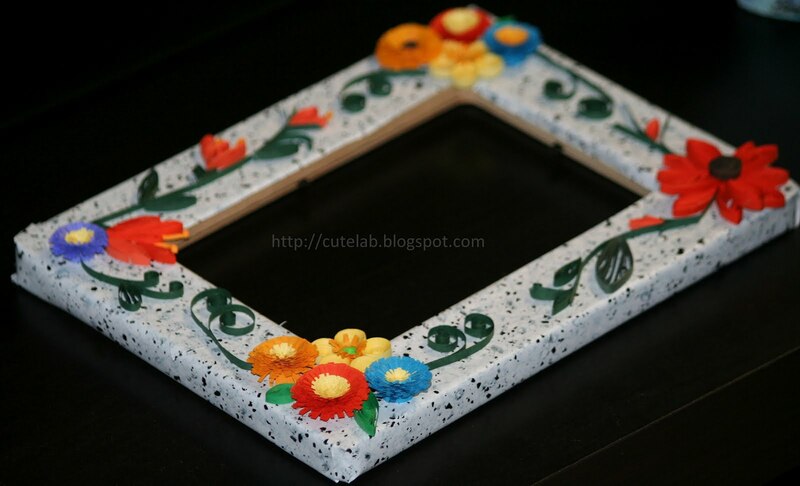 The 4x6 wooden photo-frame used in this quilling work was bought in Michaels craft store, then wraped with a craft paper. 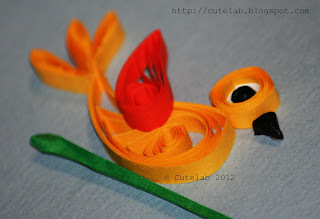 For this 6 fringed flowers also used, they were made using 6 m.m paper strips.